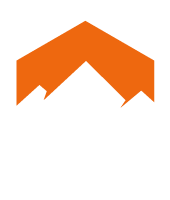 Beta Climbing Designs is a UK based climbing equipment company that specializes in remote clipping devices for sport climbing and industrial application. Beta Climbing Designs was set up by Si Berry and Ian Barnes at the turn of the millennium to get their new remote clipping device “The BetaStick” into the marketplace. Over the coming years, The BetaStick went global and can now be found in sport climbers rucksacks all over the world. Today Beta Climbing Designs now has an extended product range beyond BetaStick, which can be found in climbing stores all over the world.